There's a target out there somewhere! 8AM until 2PM as needed. Sign-up starts at 7AM. This event involves the use of muzzle loading rifles and snowshoes. The approximately 1.5 mile long course can be enjoyed by the average sportsman – you needn’t be an Olympic athlete! The route will be well-marked and will include four target stages with a total of nine shots. 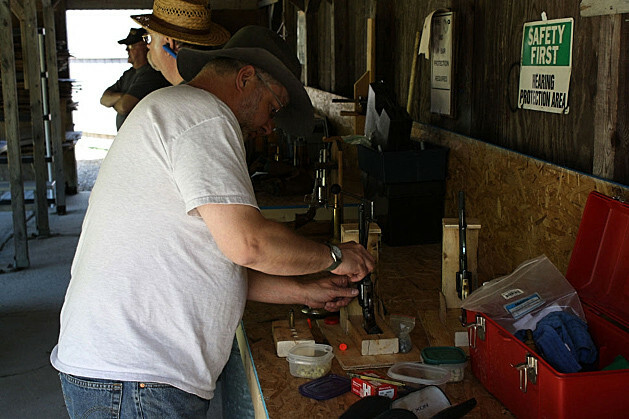 Muzzle loading firearms only, $10 entry fee, unlimited re-entry. This event will be held regardless of the weather – Remember, the concept is Primitive!!! 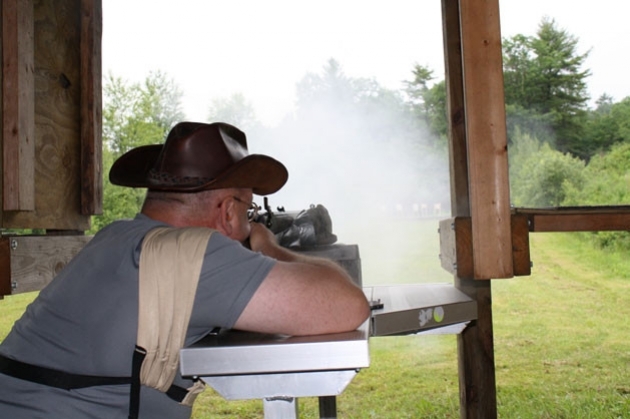 Have you always wanted to discover the fun and excitement of hunting with a muzzleloader? Always heard it was complicated and expensive? Join the hosts of “Blackpowder Guns and Hunting” television, O’Neill Williams and Chad Schearer, as they explain everything about the great sport of muzzleloading. Through our online video course, ‘Blackpowder 101’, you can learn everything you need to know about muzzleloading right on your computer screen. 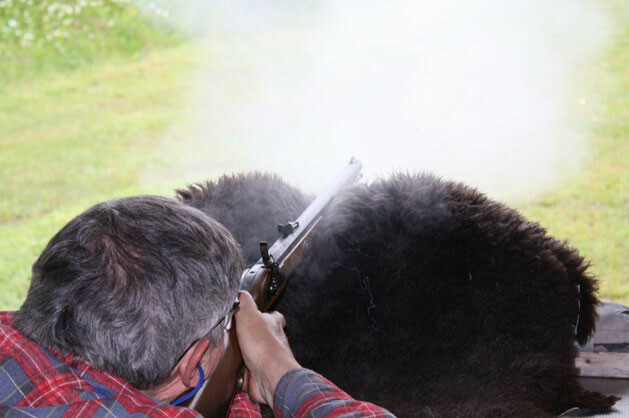 We have broken the ‘Blackpowder 101’ course into 10 easy to view chapters. We recommend that you watch them in sequence, as each chapter builds on the previous chapter. As you begin the course a popup window will appear with that course segment loaded and starting automatically. Be sure to turn off your popup blocker so the video will play uninterrupted. The browser is user friendly and can be stopped or backed up to any location using the slide bar locator in the video browser. 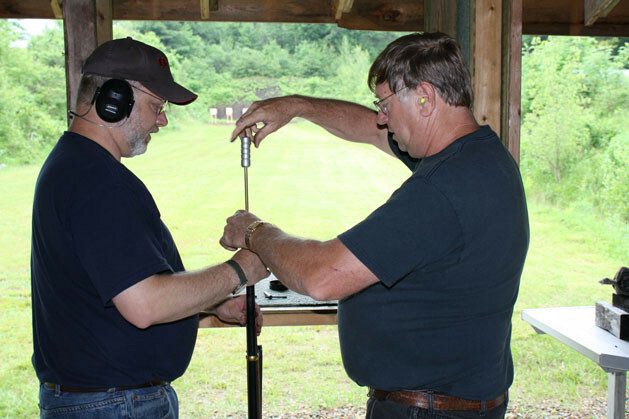 So, at any time you can stop the video to take notes or review any information related to safety, cleaning, loading, shooting your muzzleloader correctly, projectiles, etc. A special thank you goes to Nick Despensa who recently donated a very nice .45 cal. caplock rifle to the club for use as a loaner during BP/ML shooting events. Please thank Nick for his generosity when you see him at the range. Dave (Big Gun) Swenson took the rifle home and refinished the stock, browned the barrel, and cleaned and polished it up. He claims he shot it three times at 40 yards and saved the target to show us. The target and rifle are available to inspect at the club house. Please thank Dave for his gunsmithing efforts. 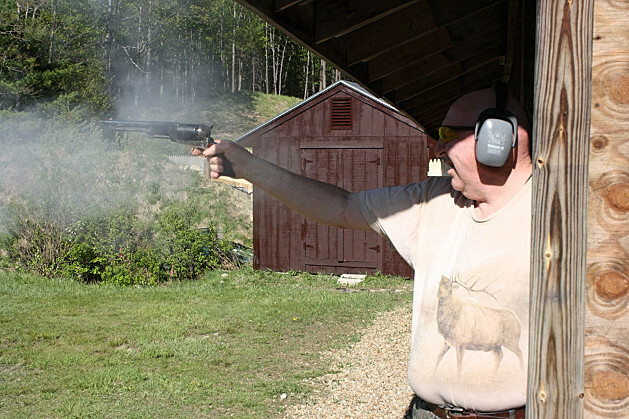 Another special thank you goes to Ray Regan of Milford, NH, who recently donated a .45 cal. caplock derringer CVA kit, with the derringer partially completed, to the club for use as a loaner during BP/ML handgun shooting events. Joe (Tipi Tanka) Greathouse and Dave (Maza Tanka) Swenson are doing some gunsmithing on it to finish it up. As soon as they finish it we will load it up and try it out.